& START SELLING...THE MODERN WAY! 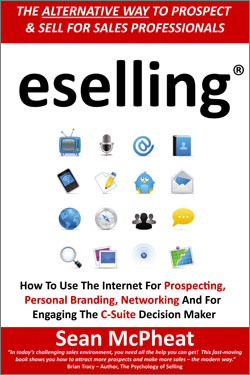 Sean McPheat's #1 Amazon bestselling book eselling® turns selling on its head as he shows you a step by step blueprint on how to use the internet for prospecting, personal branding, networking and for engaging the C-Suite decision maker. 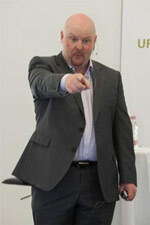 Have you noticed that recently you've had to work that little bit harder to close those sales? Cold calling has become less effective than what it once was, gatekeepers are harder to reach and your prospects and clients seem to be a lot more sales savvy and knowledgeable when it comes to the products and services that you offer and when negotiating with you. Add to this a changing economy and it's a challenging time for the sales professional and business owner. The internet has changed the way that your buyers conduct their research about you, your company and your products and services. It's become your buyers’ best friend in their quest to get the best deal at the lowest cost. It's also become your buyers’ best friend in terms of their own sales knowledge and the fact that they can check up on almost anything that you say or claim in an instant. So you've been searching for a better way to redress this balance of power and finally here it is! Use social media and social networking sites like Twitter, Facebook and LinkedIn in the right way without wasting your time! This book is ideal for sales professionals, entrepreneurs and business owners that want that competitive edge over the modern day buyer.